​If you sign up as a customer (patents/consultancy), register for one of our courses (training), subscribe to newsletters or blog-updates or place an order in our web shop, you will be prompted to fill in your personal data. Information we collect: name and address, payment information, email address, phone number and in the case of specific services, a copy of an ID. We use this information to handle the patent procedures, deliver the services and/or products that you have requested, and to make sure that associated communications proceed as quickly and efficiently as possible. The use is governed by your assignments and by legal obligations. ​You can sign up for our newsletters, blogs and other mailings about future courses and other products, thereby expressly giving us permission to send the mailings to you. 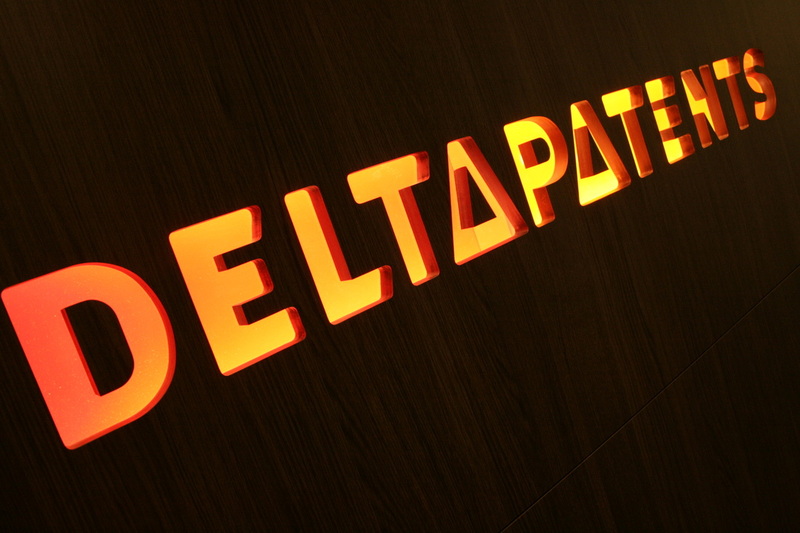 In this way you can stay updated on DeltaPatents’ activities. If you no longer wish to receive mailings, please use the link in the mailing. The personal data and, where appropriate, the email addresses of students to a course, in which an online learning environment is used, can be shared with fellow students and the teacher of the course concerned, only in execution of the (training) agreement we have with you. We may want to make video recordings or take photos during our training courses. If so, we always announce this in advance. If you do not wish to be recorded or to have your photo taken, please object at that time. The image recordings and photos can be used for promotional purposes (website, brochures etc.). Furthermore, we will use your personal data only with your consent. DeltaPatents B.V. will provide your personal data to third parties only if necessary for the implementation of your assignment. Our employees, tutors and engaged parties are required to maintain the confidentiality of your information. DeltaPatents B.V. will never sell or rent your personal data to third parties. DeltaPatents B.V. will not provide third parties with any other details that could be used to identify you, unless required to do so by law. We use technological security measures to protect your information. Your personal data is kept in secure networks and is only accessible to a limited number of people. We recognize our responsibility to protect the data that you entrust us with. Our intention is to protect the quality and integrity of personal information. Requests from users to amend or remove personal data will be dealt with as soon as possible. We will retain your data no longer than allowed by law and necessary for performing the tasks for which the data is needed. ​To the extent that cookies are used, you have the option to reject their use by selecting the appropriate settings in your browser. By using the website, you consent to the processing of the information. how can you contact us to view, amend or delete you data? We use your data so that we can assist you in the best way possible and/or to inform you in writing about our activities and news. If you have any questions, you can contact DeltaPatents B.V. via our contact form on the website. If you do not wish to receive any information from DeltaPatents B.V., or want to view, amend or delete your data, inform us via email: mail@deltapatents.com. We will adapt your information in our database as soon as possible. For more information please contact us at mail@deltapatents.com.